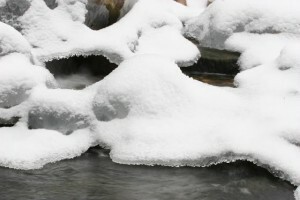 Some pond owners like their ponds more in the winter than in the summer! Take a look at some of these photos, and you can see why. Once you experience the year-round joy of the Water Gardening Lifestyle, you'll wish that you had gotten involved sooner. Watson Supply is an Authorized Aquascape Distributor. We train contractors in the best techniques in the Water Garden industry, and our staff experts have been trained by some of the best in the world. Our network of Certified Aquascape Contractors can help you get involved in the water garden lifestyle, too! Call us to discuss your pond or pondless dreams, and we will help you through the process of making your dreams into reality. You can reach us at 717-238-9730.